Last fall I shared a behind the seams look at my Washington Square x Toaster 2 sweater that appeared in an article I wrote for Threads Magazine (#200, January 2019). The article is also available online now. Please click through also to see the very lovely model wearing the cardigan pictured above. As I’ve mentioned before, some of the techniques in my article are not ones traditionally used in the garment industry for ready-to-wear clothing. I’ve specifically adapted many of these methods for home sewing. 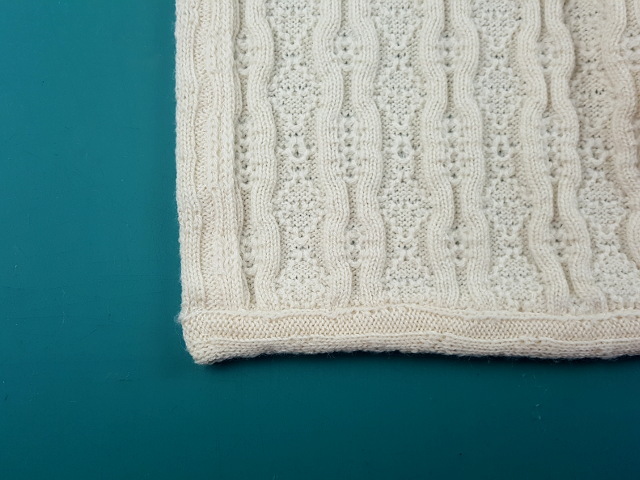 Here’s a closeup look at the featured sweater in the article. 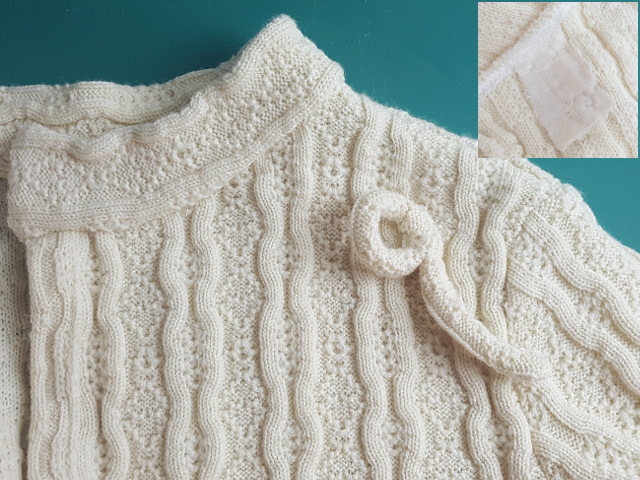 Named after the stitch pattern I developed a few years ago, the Providence jacket was my first time sewing this particular fabric, and I was delighted to have an excuse to work with my favorite kind of knit! Back when I was doing custom knitting, I produced this fabric in a lighter weight yarn. This more substantial version of the Providence sweater knit, however, was developed for sweater coats and jackets. As my knitting contractor says, Providence is “slow knitting and full of body”. If it’s my favorite kind of knit fabric then that means it’s wool, bulky, and has a prominent stitch pattern. A bonus feature is that this fabric has very regular, finished selvages which can sometimes be used as a finished edge. I designed the sweater jacket based on my own sweater pattern block. Providence is relatively stable for a sweater knit. No special fit adjustments were needed to my basic pattern to make it work for this fabric. The stitch pattern has a strong vertical element in the design. I redrafted the front right piece so that the cardigan would have a diagonal, asymmetric front opening. I then cut out the pieces to take advantage of those clean selvages. When constructing the cardigan I folded the selvages back on themselves and stitched them in place to produce sturdy edge finishes for the front opening. In the picture below you can see the folded over selvage at the left edge. The hem is bound with self fabric, rotated so the vertical element is running crosswise. For the tie at the neck, I used a wider strip of Providence rotated as with the hem binding. I folded the selvage over to cover the unfinished seam allowance at the neck and hand stitched the selvage down with slip stitches. Using the selvage allowed me to produce a less bulky seam since there are fewer seam allowances. The rouleau “eye” is supported on the inside with a small patch of interfacing. For the article I shipped the sweater (along with my raspberry pullover and numerous small technique samples) to Threads Magazine for a photo session. After the package was returned to me, I tried on the jacket again and have now decided to add a second closure just under the bust. 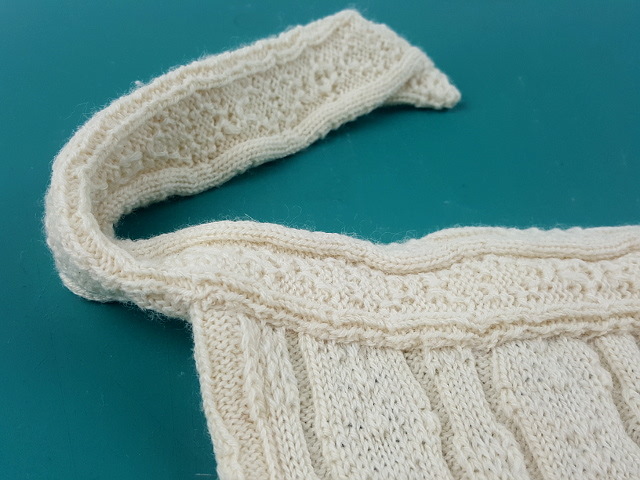 The additional closure will keep the front opening better secured to properly show off the sweater's asymmetric features. Just getting started cutting and sewing sweaters? 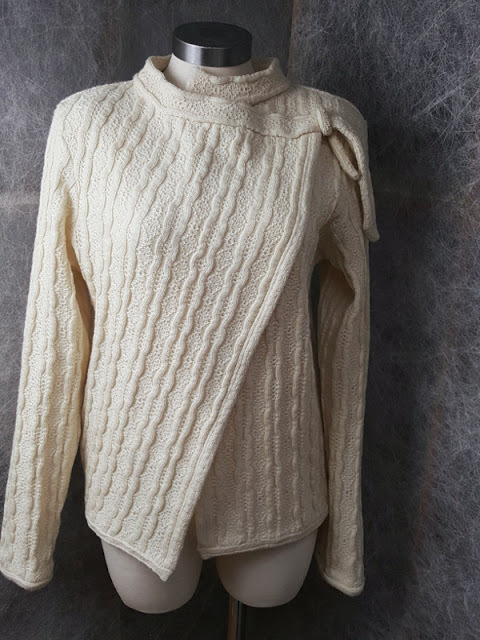 Join the list to learn about my video series and online workshop How to Cut and Sew a Sweater.